Hello! My name is Timo and I’m working on my thesis in the research group. Last September I was enrolled to a two-semester collaborative course called Epic Challenge Joensuu, a course that was offered by UEF, Karelia University of Applied Sciences and the science high school Norssi. The course was about finding solutions for the problems of colonizing Mars and learning to use good problem solving methods and tools. 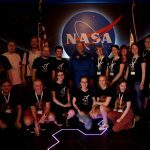 Originally, we had no idea that a trip to visit NASA would be a possibility, so we were quite surprised when the teachers announced that a trip might be the finale of the course! The US trip was confirmed in the spring and we could finally give in to the excitement and start planning and negotiating. Karelia and UEF were kind to offer a scholarship for the trip, without it I probably couldn’t have afforded the expenses. 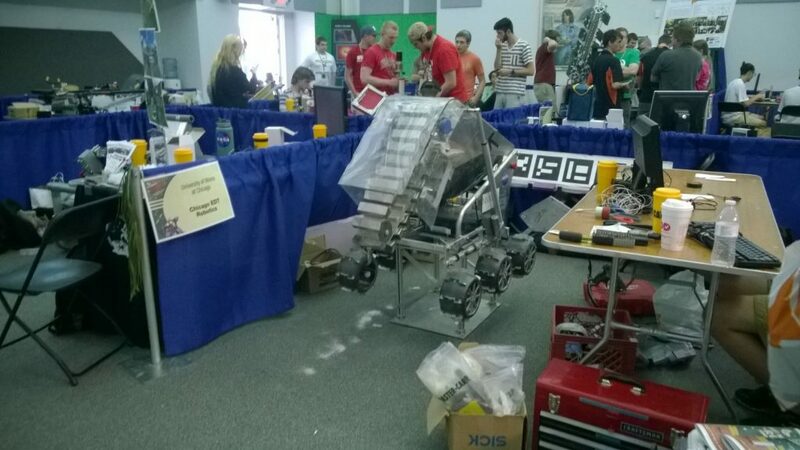 Our field trip began in the middle of May when we flew to Florida, where we spent the week. Our target was the famous Kennedy Space Center in Orlando where the Apollo lunar missions were launched from, among many other space missions. 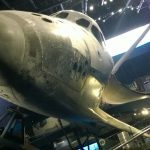 Kennedy Space Center has a Visitor Complex, which boasts numerous attractions, such as different kinds of simulators and old space rockets. My personal favorite in the Visitor Complex was definitely the space shuttle Atlantis. 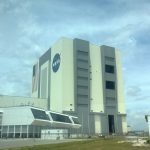 A bus tour to the launching pads and the VAB (vehicle assembly building) was also very nice and informative. We also got to meet astronaut Jack Lousma and to present him the concepts we came up with during the course. Epic Challenge group and astronaut Jack Lousma (in the middle). Photo by Krista Holappa. The Visitor Complex is open for everyone but we also got ourselves a little private tour, held by NASA’s top biologist Dr. Ray Wheeler. He kindly showed us around the Space Life Sciences Lab, where he and many other scientists are working on creating a bioregenerative life support system for space use. This kind of system would be crucial for sustained human life in space or on others planets, such as Mars. We got to see what kind of experiments they are doing and we asked a lot of questions, Dr. Wheeler really made us feel welcome! 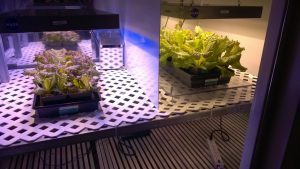 Among others, we saw experiments related to plant growth under different wavelengths of light and the effects of microgravity to animal development. Epic Challenge group and Dr. Ray Wheeler (on the right). Photo by Krista Holappa. Overall, the trip was a great experience! 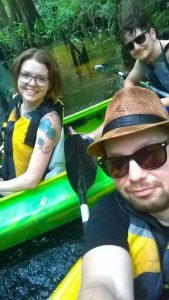 At the end of the week we had some spare time, so we went kayaking to a beautiful wetland. I didn’t manage to see any alligators but I heard one of our team members saw a huge one. I was happy to see turtles and cranes! Krista, Timo and Jesse of the BioMars team of Epic Challenge. Photo by Timo Ilo.